Mobile Office. Handy, mobile and good performance. Sony's 13.3 incher does without superfluous ballast, such as dedicated graphics card and invests in a DVD drive, docking port and HSDPA. Find out why this just doesn't work, despite high mobility. 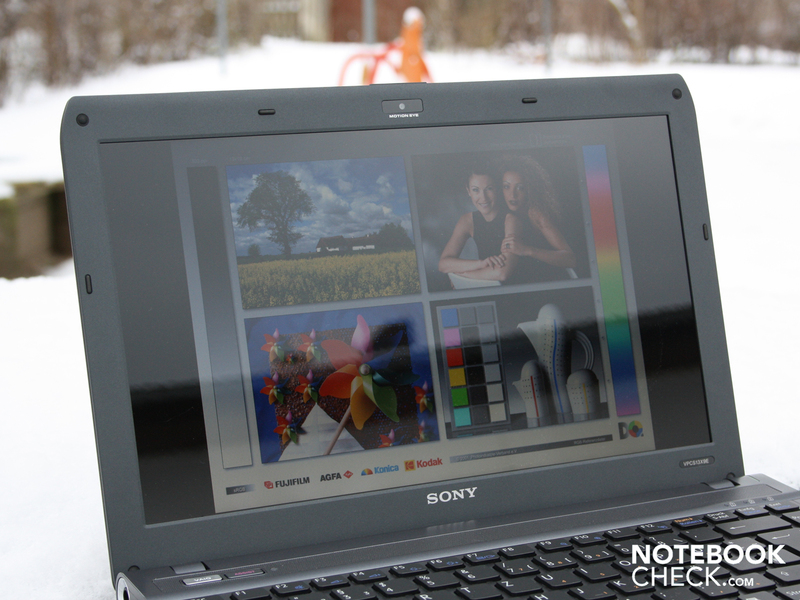 Sony Vaio VPC-S13X9E/B: Mobile 13.3 inch all-rounder with all finesses? 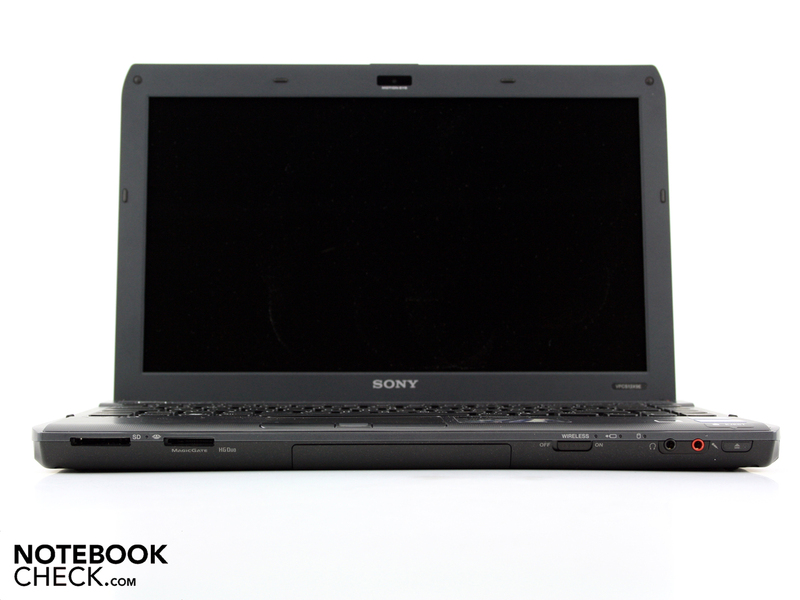 Sony's S range provides a handy 13.3 inch device that fuses mobility and web access, equipped with a Qualcomm Gobi 2000 3G module. We haven't chosen the power consuming i5-520M or 460M processor this time. Instead we opted for the moderate performance of a Core i3-370M. No configuration of the S range has dedicated graphics. Solely Intel's HD in the processor is always used. How much mobility and work potential will the user get for 1119 euro? Will the VPC-S13X9E/B reach Sony's estimated runtime of five hours? Can the display meet the demands on mobile use? All answers in this review. Sony's 13.3 incher weighs 1971 grams and the 65 watt adapter adds 224 grams to that. The case supplies perfect torsional stiffness for mobile intentions. The structured plastic wrist-rest impresses with a high stiffness and can only be depressed to an extent on the right. The work area's surface is well suitable for mobile working. The manufacturer hasn't used any glossy surfaces anywhere. 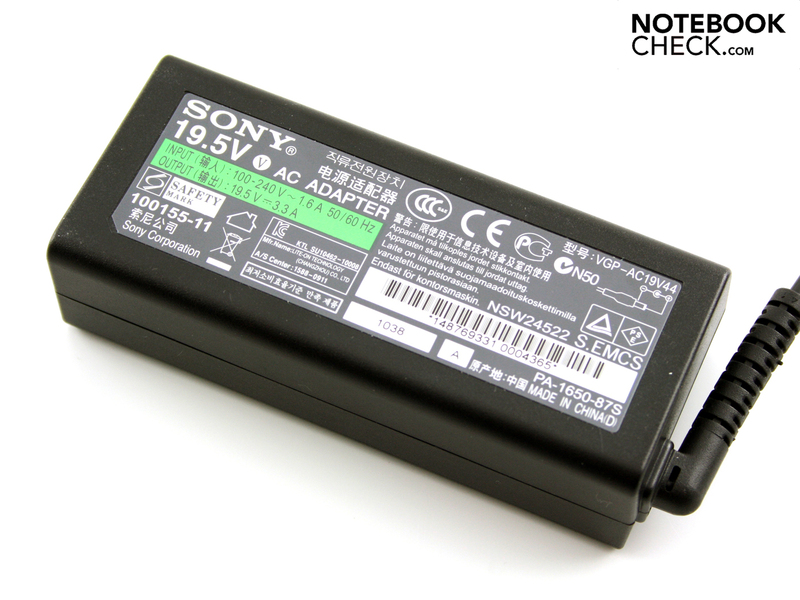 A clattery battery was a typical Sony trait for a long time. The battery in our test device still clatters slightly in its compartment, but it fits absolutely locked due to the rotating mount. 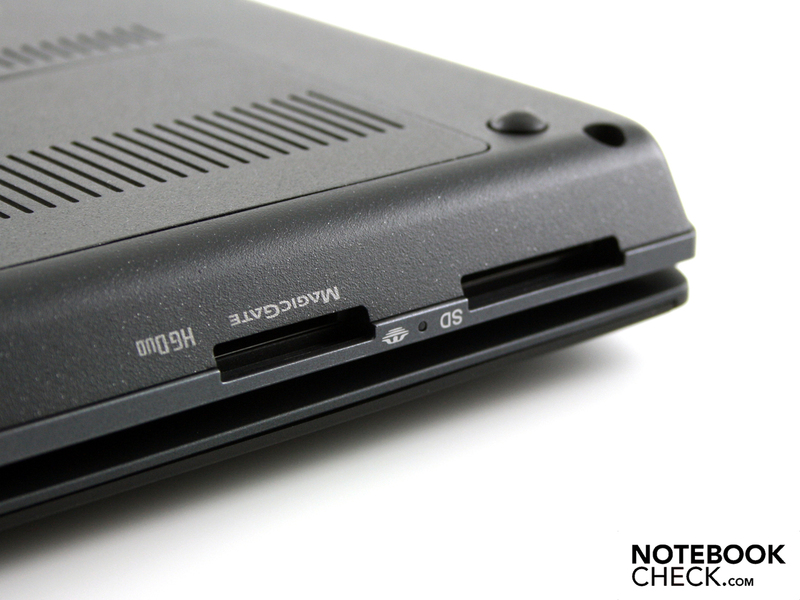 The surfaces above the keyboard and the base plate fit tight and don't yield anywhere, not even over the optical drive. 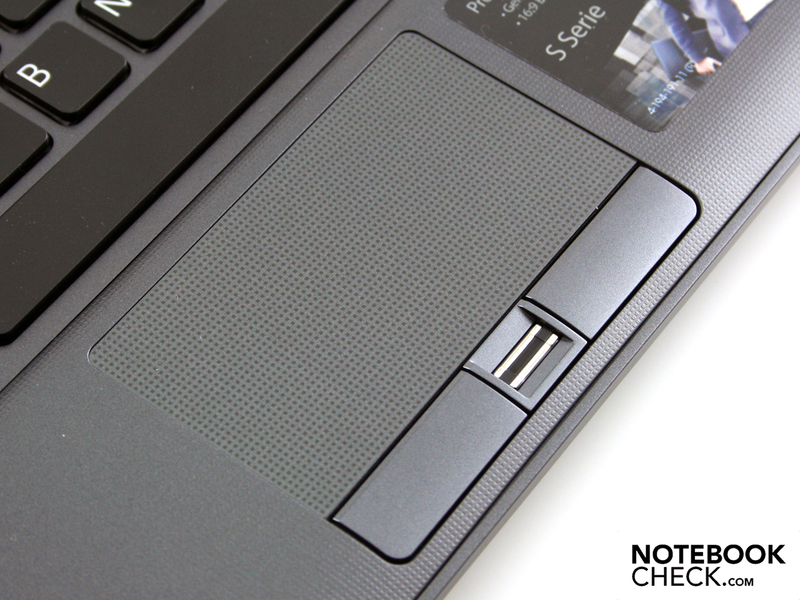 The aluminum-magnesium alloy, of which the case is made, has a positive effect on this. The matt lid has an exemplarily torsional stiffness in view of its flat build. We can only twist the display by a few degrees when we pick it up at its corners. However, slight pressure on the lid's surface causes evident depressions. Both hinges are fitted tight and the display stays securely in place in every position. The lid teeters when it's exposed to vibrations. The lid surface is made of aluminum, but it has been coated in black. The surface is matt and has a very good grip. The aluminum is interrupted by black plastic on the front edge where the fingers touch it for opening. Sony exploits the restricted space exemplarily for the interfaces. It seems amazing how many connections fit on such a small subnotebook, although the 13.3 incher has a DVD drive. Users have to do without eSATA and USB 3.0, but in return there is ExpressCard34 and FireWire. 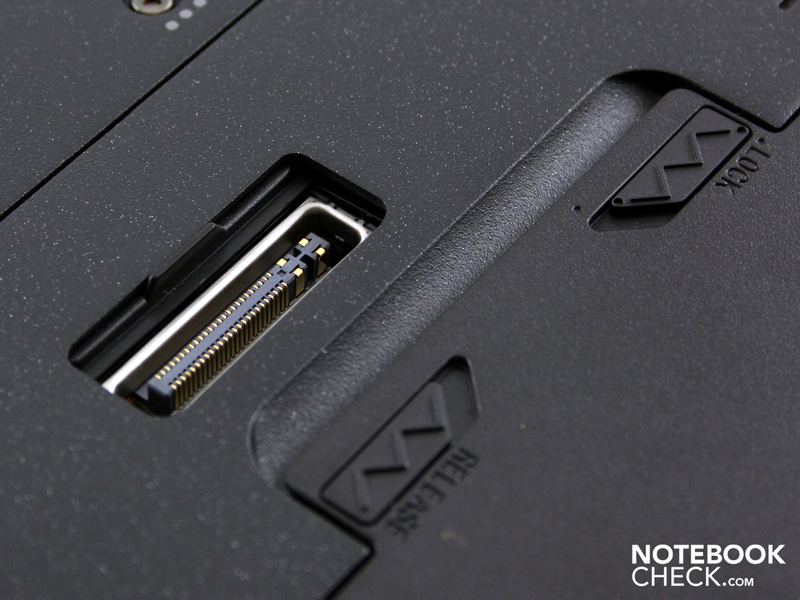 Noteworthy is the creative placement of the ExpressCard34 slot, below both USB ports (right). An expansion card could collide with the DVD tray here. We find all interfaces on the right, left or front. The rear is reserved for the battery pack. The port placement seems reasonable: VGA directly beside HDMI on the left. No thick cables impair righties while using a mouse. Left-handed mouse users are disadvantaged though. HDMI, VGA and the FireWire cable obstruct the place on the wrist-rest's left. It could get a bit tight on the right, when users plug in a broad USB stick. The DVD drive's tray might not open anymore. 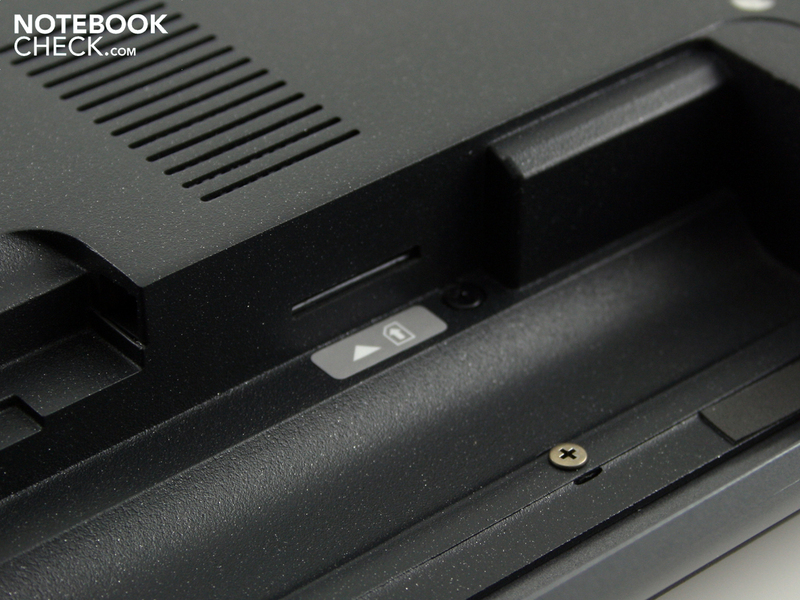 The cardreader (SD and HG Duo) and the audio sockets are on the front. 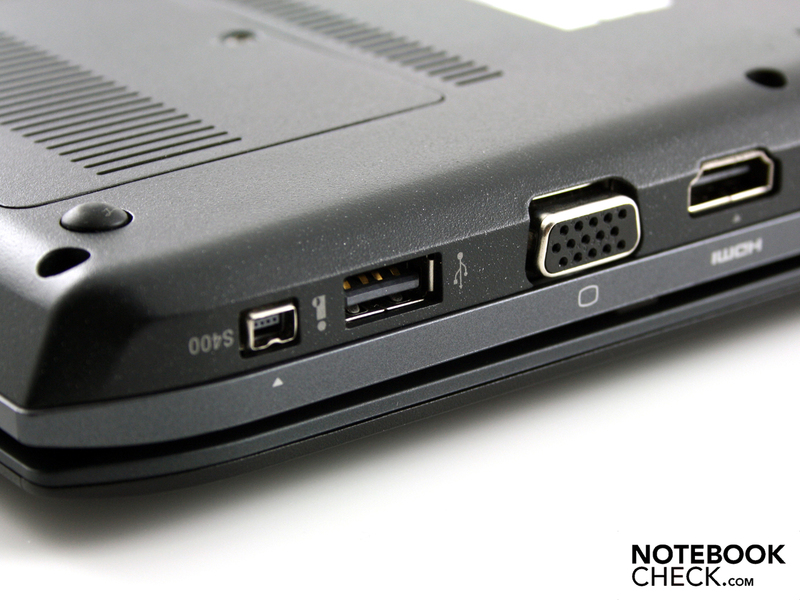 Ports on the rear would have been better for use on the desk at home. On the other hand, there is a docking port on the base plate. The docking station, VGP-PRS10 (170 to 200 euro) can be connected here. This base station replicates the connections and takes up the fight against cable chaos. The station makes the S13X's adapter obsolete and adds 4 USBs, an RJ45 (LAN), a VGA (D-sub) and a DVI port (24 pins). There is nothing standing in the way of mobile internet access with the internal WWAN module (Qualcomm Gobi 2000) – except for the fee-based contract with a provider. 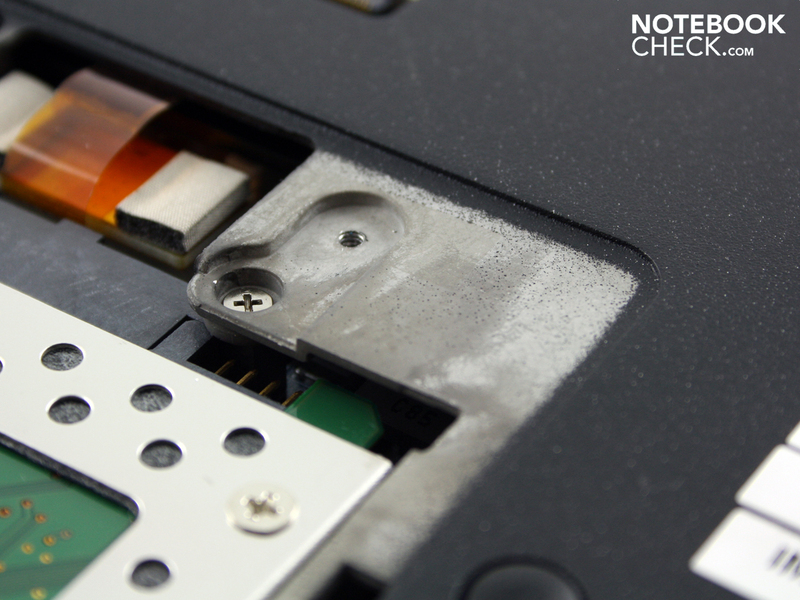 The SIM card is inserted underneath the battery. We were pleasantly surprised about the simplicity of the initial connection with T-Mobile via Sony's network software. WLAN of the fastest generation is available with Intel's wireless card in draft-n standard (Intel Centrino Advanced-N 6200 AGN). The installed Bluetooth module only supports the older 2.1+EDR standard. The Atheros AR8131 PCI-E Gigabit LAN adapter communicates in appropriate gigabit manner. In terms of network, the 13.3 incher is well-equipped, even without Bluetooth 3.0. The S13X comes without DVDs. There are merely quick start, recovery and service instructions. Thus, the customer has to burn his own backup of Windows Home Professional 64 bit (Vaio Assist key). There aren't as many Vaio tools and programs on the hard disk, as they are installed on the multimedia Vaios. 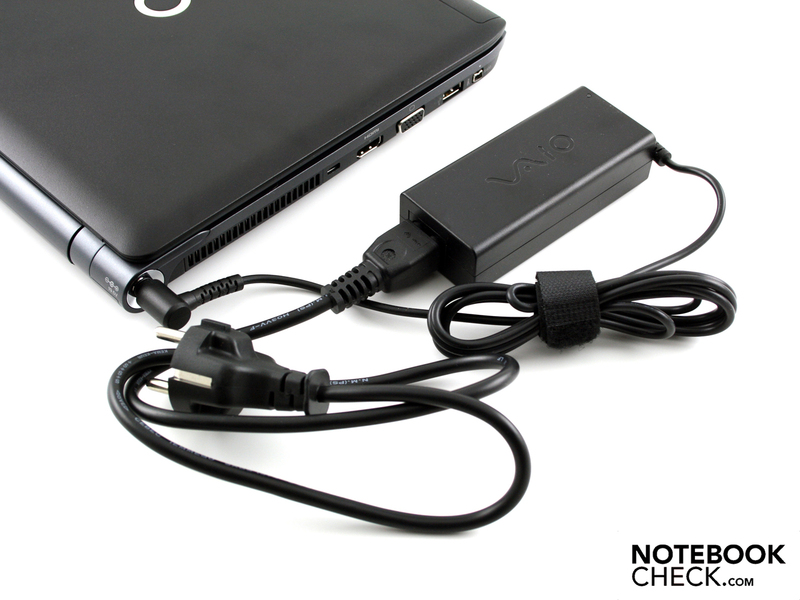 The tools Vaio Transfer support, Update, Smart Network, Care (support) and Gate (solution portal) can be quite helpful. 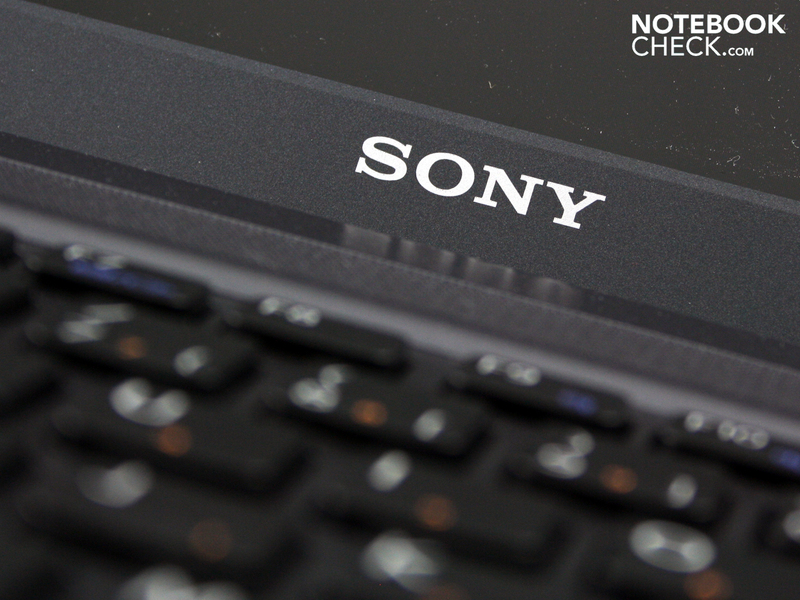 Sony grants a 24 month bring-in warranty for the 13.3 inch Vaio. It consists of a 1 year basic warranty plus a further year. Depending on where it's bought, the buyer might have to inform himself and, if necessary, secure the 24 months by registering the claim. Buying the one year warranty extension, (PCGE-VPW, 199 euro) or the two year extension, (PCGE-VPW2, 179 euro) doesn't make much sense. These products are always in addition to the 12 month basic warranty. The keys, made in an isolation look, have a large gap between each other and stand on solid ground over almost the entire surface. The key field merely yields a bit over the optical drive and supplies a spongy typing feel here. 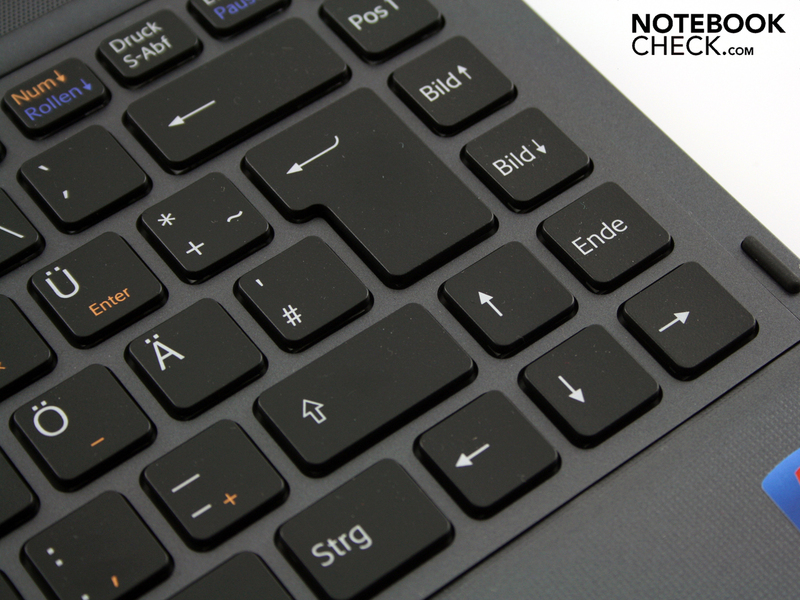 The clear pressure point and medium keystroke is successful in our opinion. Depending on the position, key triggering is hard (center) to moderate (left) or spongy (right). The keyboard is thus not perfect, but it's suitable for prolific typists due to the clearly arranged layout. 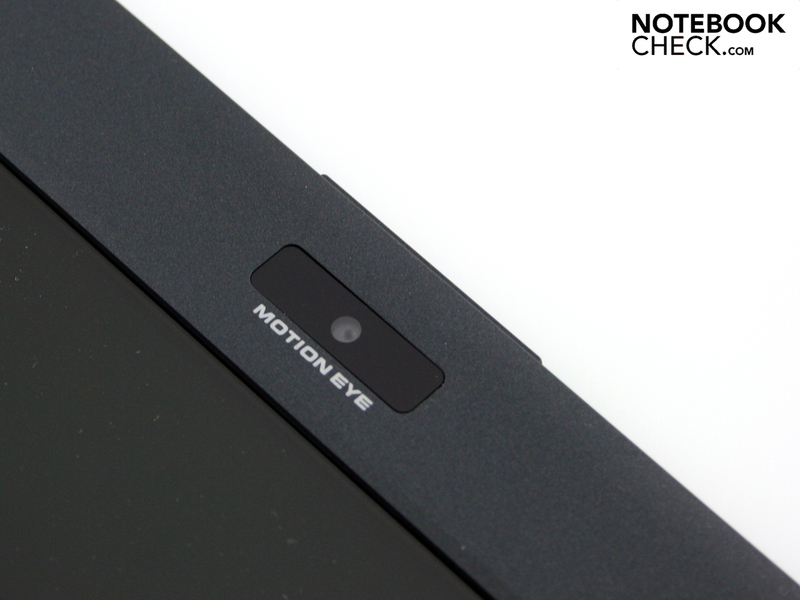 The cursor moves fairly accurately over the desktop when we glide over the smooth surface. The wrist-rest is separated from the surface by a narrow edge. It is distinct enough to feel the touch surface without looking. The medium stroke length allows fast clicking. An audible click can be heard. 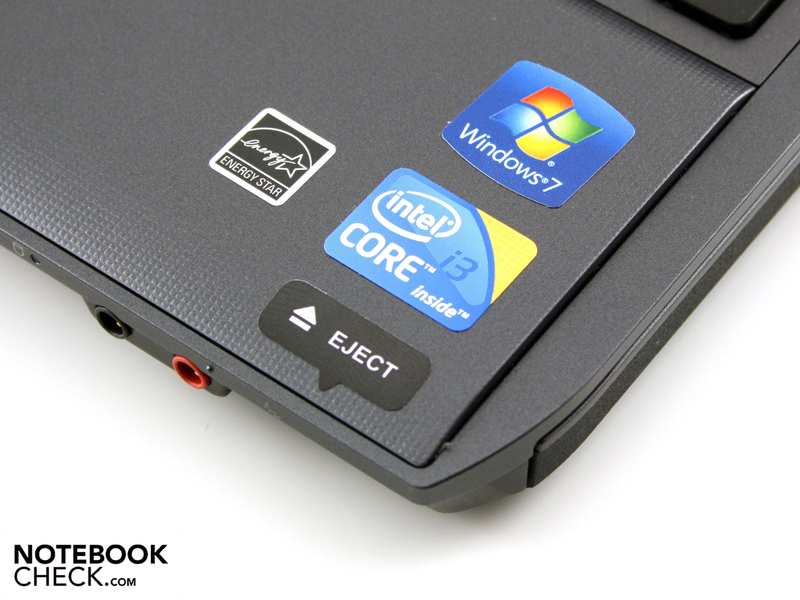 It is a multi-touchpad that detects the use of two fingers (two finger gestures, e.g. zoom in, zoom out, scroll). 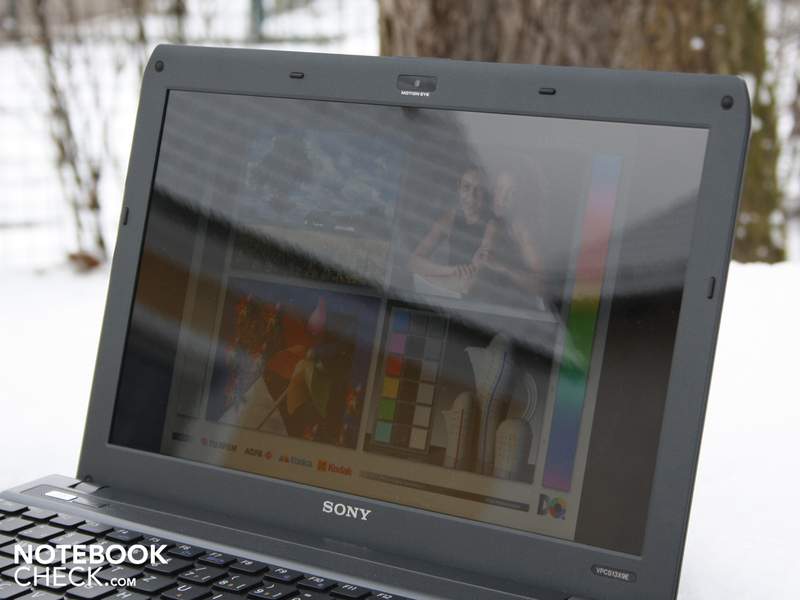 Sony installs a 13.3 inch screen (33.8 cm) with a resolution of 1366x768 pixels (16:9). The reflective display (can only be read out as "VaioLCD") can't convince us. The brightness is average, the contrasts are low and the color spectrum is narrow. We determine a contrast of 167:1 with a black value of 1.25 cd/m2. A higher contrast would represent brilliant colors. Colors look rather more ashen and pallid than crisp and fresh. 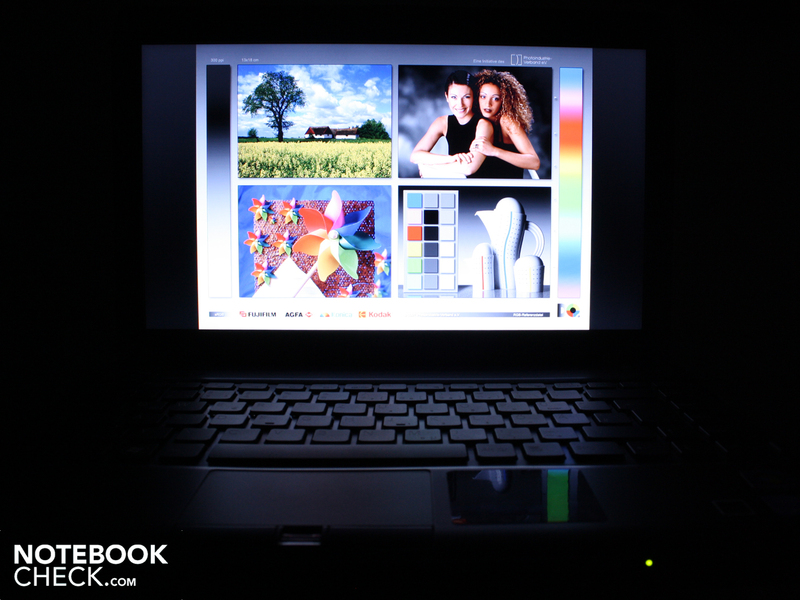 The Vaio screen's color spectrum is very tight, as the assessment with the color calibrator, X-Rite i1Display, shows. AdobeRGB (t) and sRGB (t) don't even come close to being covered. The 13.3 inch high-end screen of MacBook Pro 13 2010-04 (t) is out of reach. We measure an average of 203 cd/m2. Our luminance meter records a maximum of 216 cd/m2 in the upper left. Especially in view of being aimed at mobility, luminosity beyond 230 cd/m2 would have been desirable. 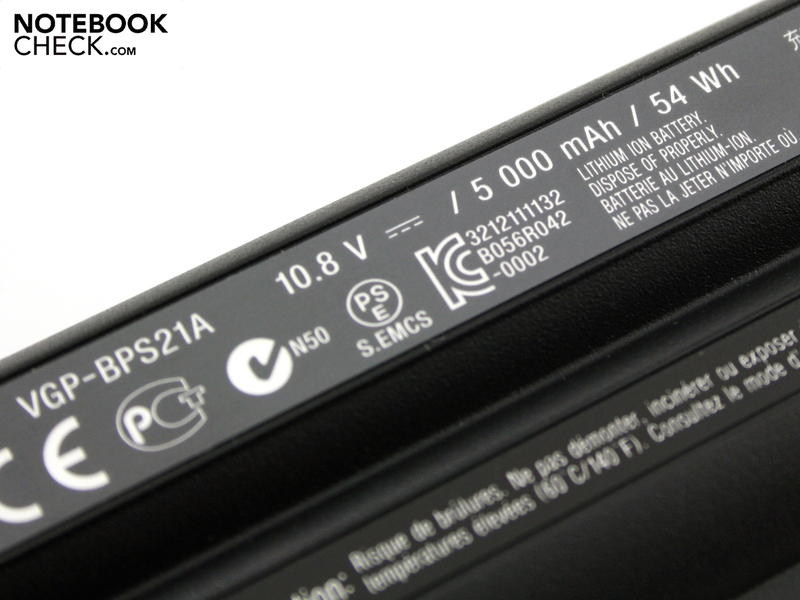 Moreover, the brightness throttles down to 175 cd/m2 (center) during battery use. 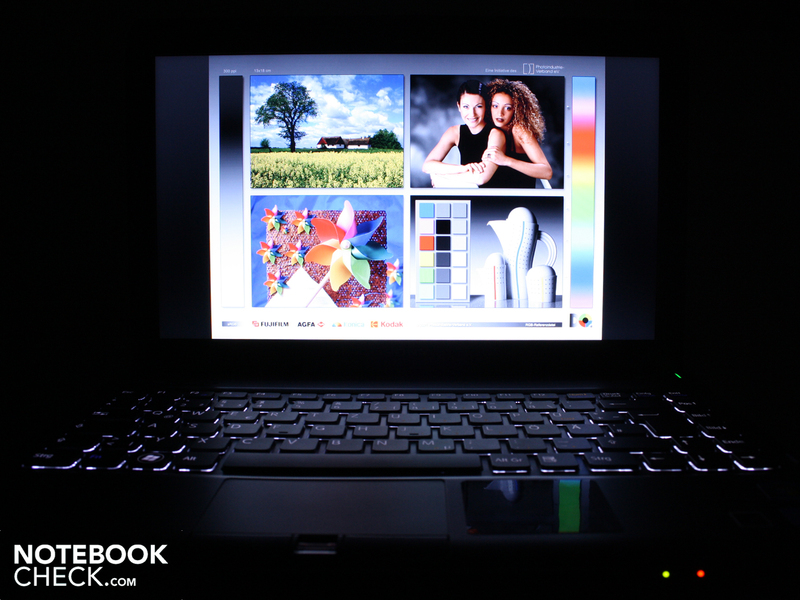 The Vaio S13X also has a light sensor. 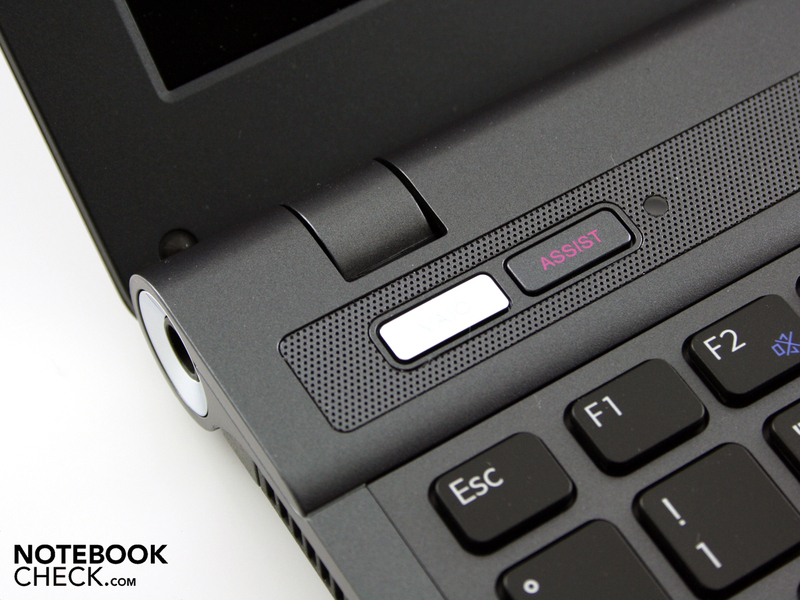 We keep the sensor in the Vaio Control Center disabled for the brightness assessment. The sensor adapts the TFT to the lighting conditions, which saves energy and is easy on the eyes. Every brightness level set automatically is quite pleasant. In our opinion, the screen is merely too dim in absolute darkness. We can't increase the luminosity beyond the sensor's default setting while the automatic is enabled. It can only be reduced via FN+F5. The 13.3 inch TFT isn't the best companion on the balcony or roof terrace due to the lack of AR coating and only average luminosity (throttles to 175 cd/m2 in center during battery use!). 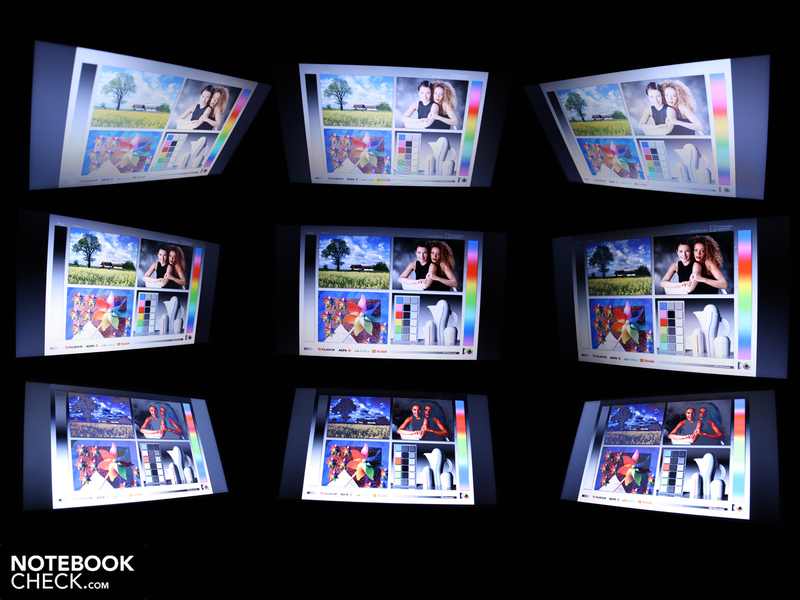 We experience an acceptable image in cloudy conditions, but the desktop will be too dark in bright sunlight. The only remedy would be to look for a shadowy place and a permanent viewing angle readjustment. The horizontal viewing angles are fairly acceptable. We can read text up to a deviation of about 45 degrees from a frontal position. When our view strays downwards (vertically), the displayed text remains legible up to about 40 degrees. The colors however already invert evidently at 10 degrees (ghosting, color inversion). A new Intel Core i3-370M (3MB L2 cache, 2.40 GHz) from the Arrandale processor refresh is used as the processor. The i3 is the performance weakest Arrandale, following i5 and i7. The processor doesn't have Turbo Boost (dynamic overclocking). In return, Hyperthreading (HT) is onboard. HT provides every physical core with a virtual core. 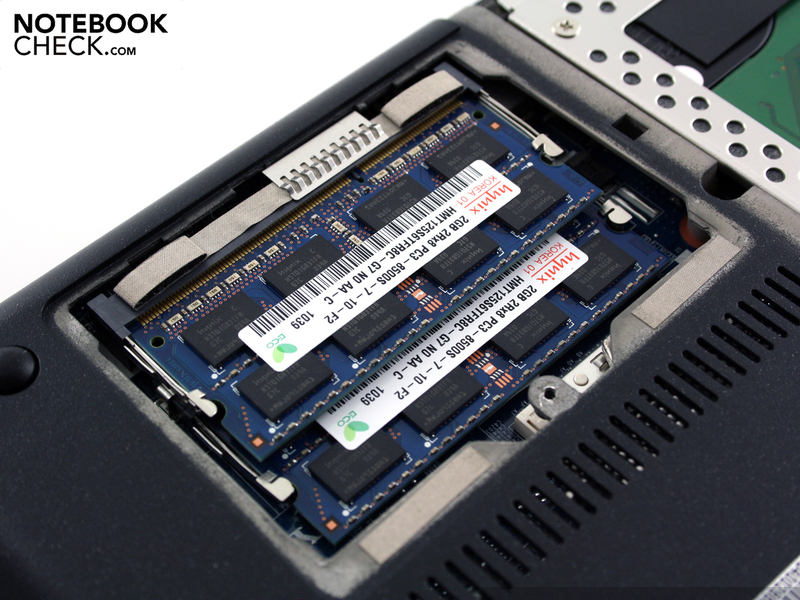 The i3 370M dual core can thus process four threads simultaneously. The configuration is complemented by 4096 MB of DDR3 RAM (two modules). In addition, there is Samsung hard disk, HM500JI, with a gross capacity of 500GB. Memory controller and IGP graphics card (Intel HD) are incorporated in the i3 processor bundle. The S13X bids almost no 3D performance due to the lack of dedicated graphics (with the exception of HD support for the processor). 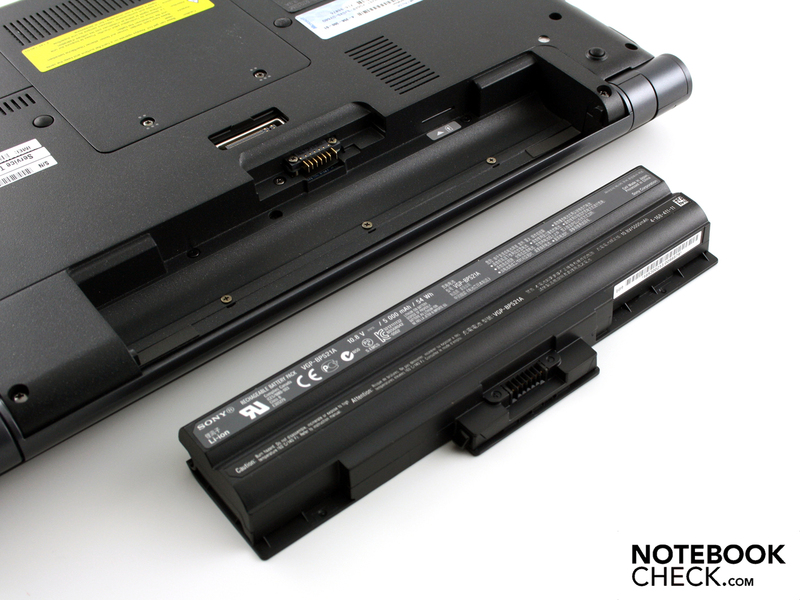 However, this is the right choice for efficient battery use. How fast is the Core i3-370M (2.4 GHz) in comparison to an i5 processor, like the 460M, which Sony supplies in the sister model, VPC-S13V9E/B? 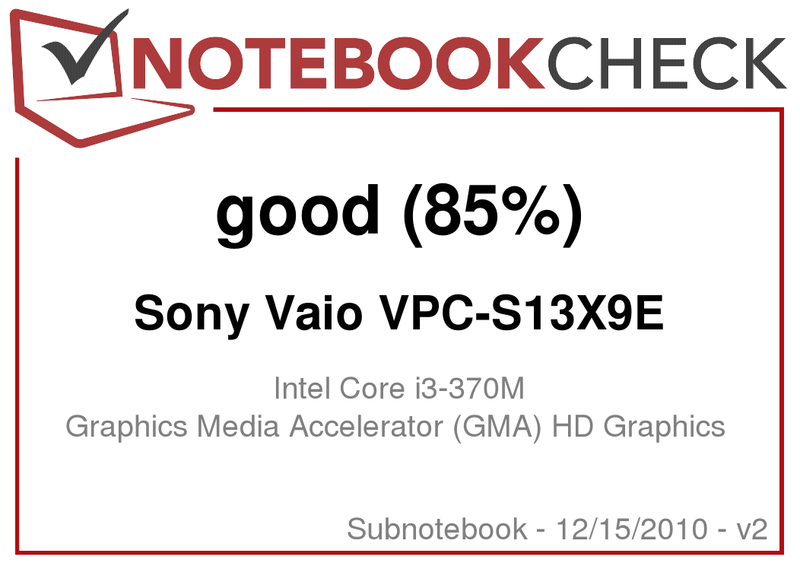 The Vaio S13X achieves 3329 points in single core computing (Cinebench R10 Single 64 bit). A 460M (2.53 to turbo 2.8 GHz) has an evident performance plus with 3939 points (e.g. Acer Aspire 3820TG, 13.3 inch). But single core calculations are hardly relevant for routine work. If you encode videos with CyberLink's Power Director, you'll benefit from many threads with a high clock rate. The i3-370M (4 threads) extracts 7414 points (Cinebench R10 Multi 64 bit). It is however defeated in this matter by the i5-460M (4 threads, but higher clock rate): 8060 up to 8342 points (e.g. 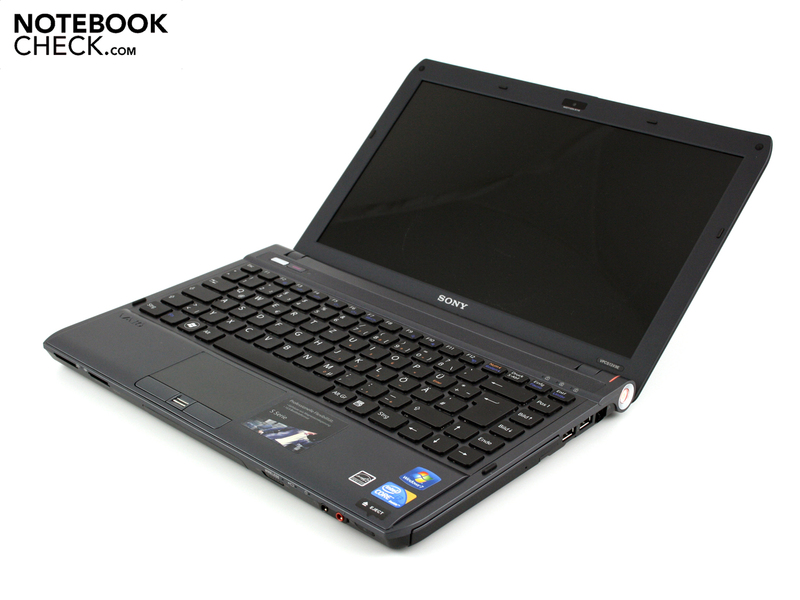 Acer Aspire 5820TG). 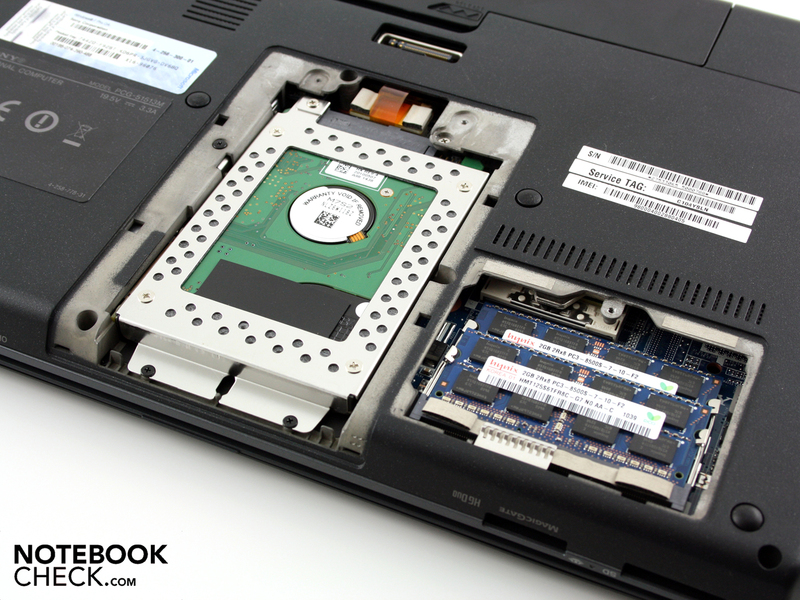 If you want the processor to do some heavy-duty calculating, you should turn to the Vaio S13's 460M alternative. What does the system performance look like, where the CPU is only one of many components (even if most important)? Our i3-370M system achieves 5088 points in PCMark Vantage. That is remarkable because 370M notebooks usually reach about 4632 points (Samsung SF510-S02DE) and don't even have dedicated graphics for support. 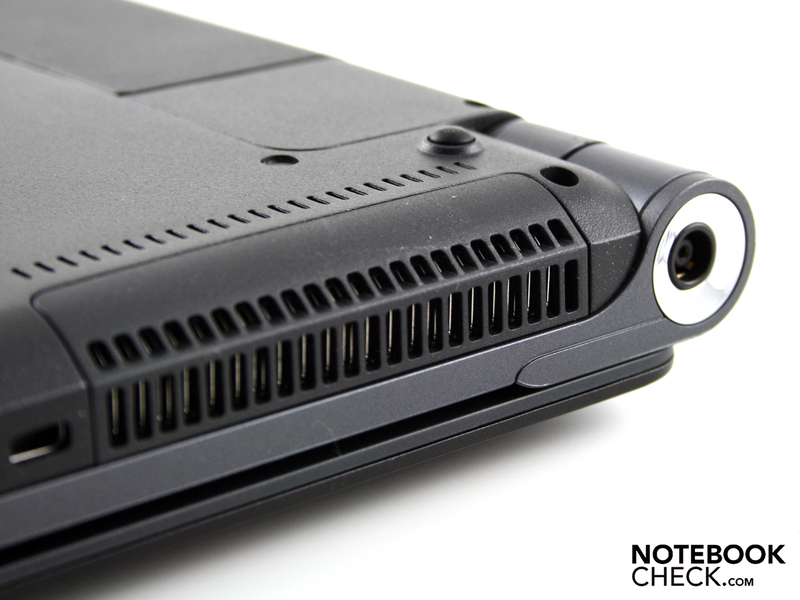 i5-460M systems, which all had a dedicated graphics card, achieved up to 6001 points (Acer Aspire 3820TG-5464G75nks). 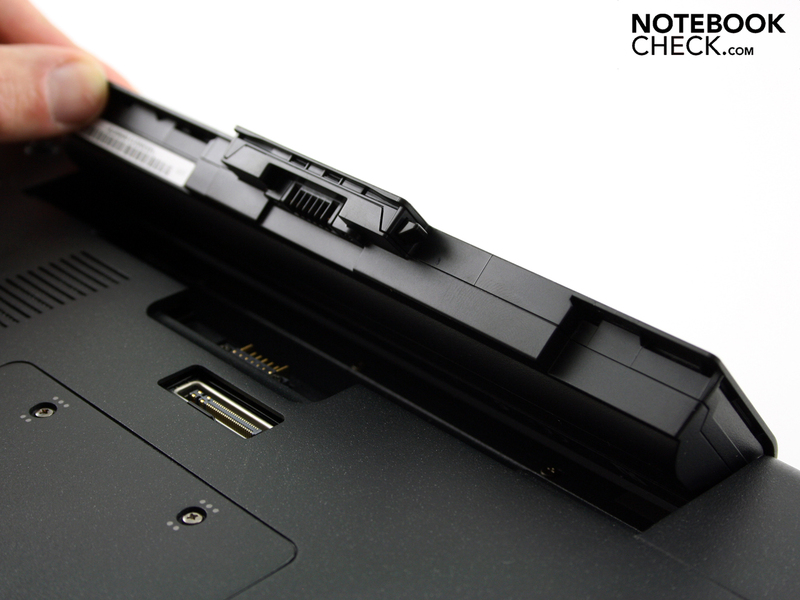 However, they had a minimum of 5570 points (Sony Vaio VPC-EC3M1E/BJ). 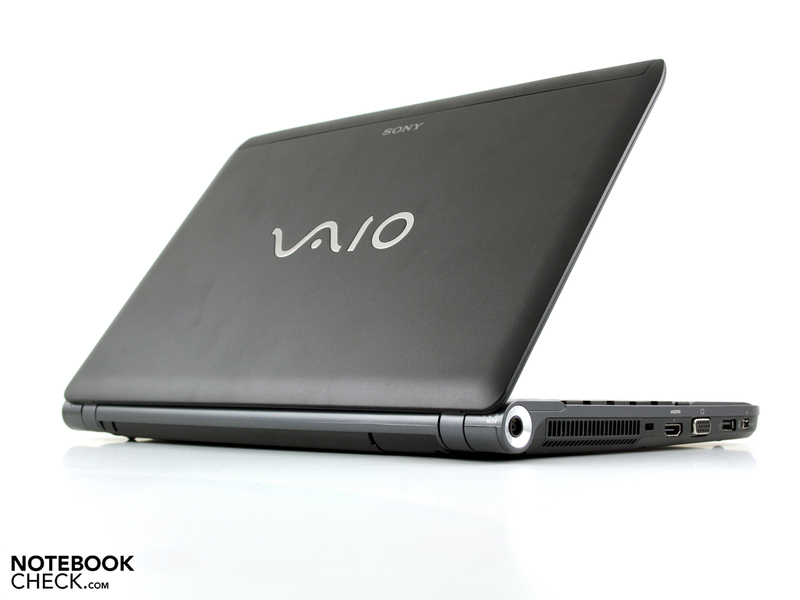 The Vaio VPC-S13X9E/B achieves a good average because it is supported by an adequately fast hard disk. Nevertheless, if you are looking for the best possible performance in a 13.3 inch size, you should turn to the S13's i5-460M version. Less demanding users will however be completely satisfied with the i3-370M because the work speed is always fast. PCMark Vantage rewards fast hard disks. The HDD's sub score is 3009 points, which represents a slightly below average rate for a 5200 rpm HDD. 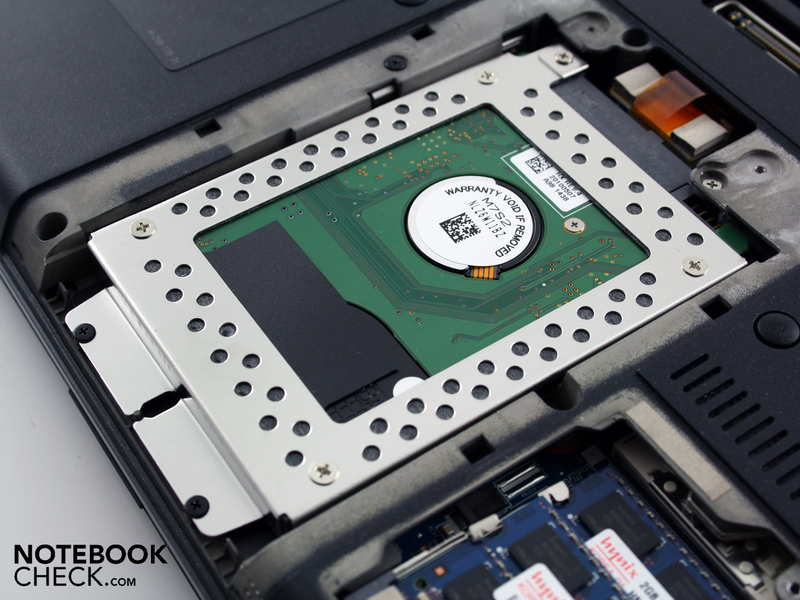 First speedy 7200 rpm hard disks can achieve up to about 3500 points. The hard disk (500 GB) from Samsung reads with 66.9 MB/s in sequential read. The burst rate of 57.1 MB/s is however quite low (HDD cache readout). The hard disk is only audible when the fan turns off in idle. Then we hear the quiet whirring. The read and write heads are almost inaudible during activity. 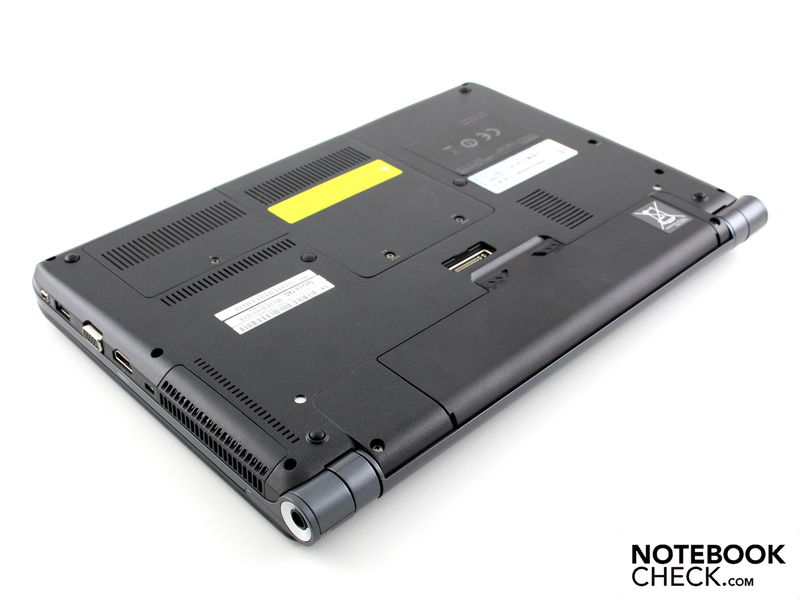 The Vaio S13X, with its 35 watt processor, works almost as quietly as an Ultra Low Voltage subnotebook. The active cooling usually is disabled in idle. Otherwise, the 13.3 incher remains consistently quiet in normal office mode with a maximum of 32.4 dB(A). If you type a bit in Word and check emails, you'll hardly notice the quietly rotating fan. The fan can increase up to 39.7 dB(A) when both the i3 processor and incorporated Intel HD are demanded simultaneously. This maximum noise could only be created in the test setting with Furmark & Prime95 (two hour stress test). It stays at 32.4 dB(A) when only 3DMark2006 is executed. We can also only compliment the waste heat management. The surfaces barely heat up at all even under maximum load. A close look at our temperature chart could be surprising. The temperatures under load are partly lower than in idle. This applies to the wrist-rest. The reason: The fan is never on in idle and the warm air can accumulate in the case. Thus, even the areas which aren't in the processor's vicinity heat up relatively. When the fan sets in during the CPU benchmark, it swaps the warm air for cool air. It even looks great inside. The stress test couldn't induce the Intel Core i3-330M to exceed 78 degrees Celsius. (+) The average temperature for the upper side under maximal load is 27.6 °C / 82 F, compared to the average of 30.7 °C / 87 F for the devices in the class Subnotebook. (+) The maximum temperature on the upper side is 32.6 °C / 91 F, compared to the average of 35.8 °C / 96 F, ranging from 22 to 57 °C for the class Subnotebook. (+) The average temperature of the palmrest area of similar devices was 28.6 °C / 83.5 F (+2.4 °C / 4.3 F). The stereo speakers located above the keys supply a treble-enhanced sound. There is absolutely no bass. The sound isn't inviting for permanent music enjoyment. The volume is relatively low in the highest setting. Connecting external loudspeakers over the 3.5 millimeter jack is the best option. 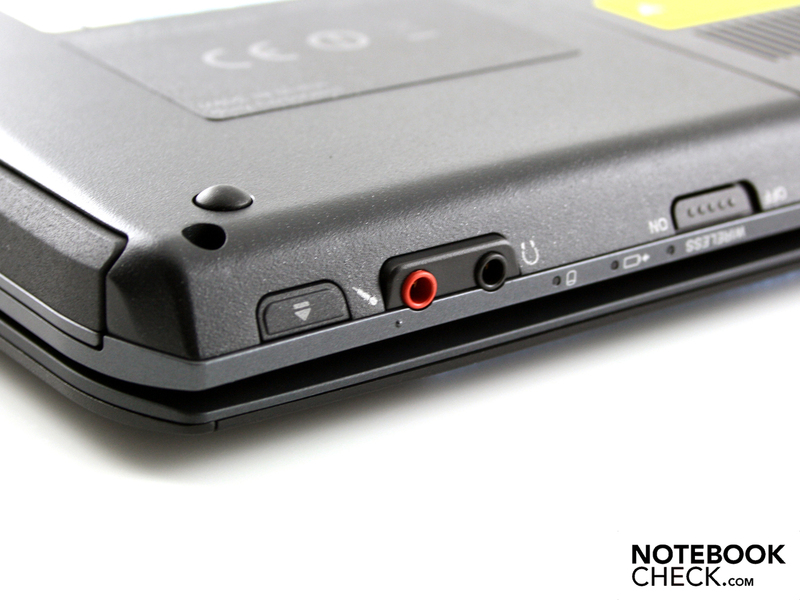 The volume tethered to the notebook can be increased as pleased. Static noise doesn't turn up even in very low input levels. Users inclined to be on the go can reckon with a real-life battery runtime of up to 4:24 hours. This is how long our WLAN surfing test ran (264 minutes). The LED display was set to medium, so about 100 cd/m2, during this test. The battery life is about the same when the installed HSDPA is used: 4:26 hours (266 minutes, surfing). Unfortunately, a full battery recharge takes a steep 4:05 hours after a compete discharge. How long will a DVD movie last? Movie entertainment first ends after 4:25 hours (265 minutes) and thus copies the WLAN runtime. The S13X gives up after 1:29 hours under highest processor load. That is the minimum battery life, determined with BatteryEater's Classic Test. The maximum runtime (idle) is a considerably higher 6:34 hours (394 minutes). Users won't reach this though, because the CPU remained idle, there was hardly anything to be seen on the display (minimum brightness) and WLAN/Bluetooth were disabled. If four and a half hours aren't enough, you can buy the protruding replacement battery, VGP-BPL21, with 7500 mAh (490 grams). At a price of 180 up to 200 euro, it's supposed to grant a 1.5 time longer battery life, according to the manufacturer. The 13.3 incher's power consumption is agreeably low, especially in idle mode. We determined 10.4 up to 15.3 watts (depending on the brightness and enabled wireless modules). Our multimeter indicated an average effective power of 60.8 watts during the maximum load induced by the stress test. If we don't consider the Intel HD (no Furmark) then the power consumption sinks to 53.1 watts. The Sony Vaio VPC-S13X9E/B is at the start with the intention of supplying business customers and demanding private users with a small 13.3 inch all-rounder. This goal is basically met; however the glare display doesn't quite fit. 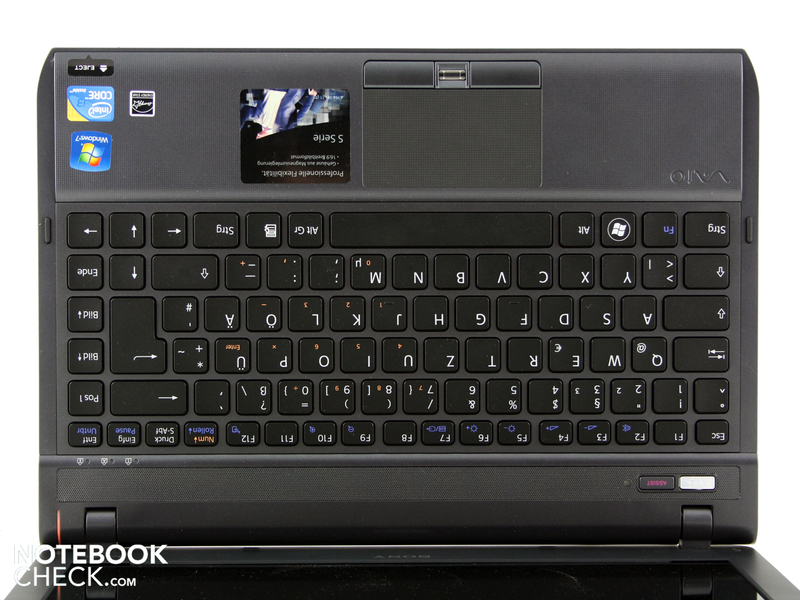 The Core i3-370M (2.4 GHz) is an adequate all-rounder in matters of performance. It provides for a surprisingly good application performance together with the relatively fast Samsung HDD. 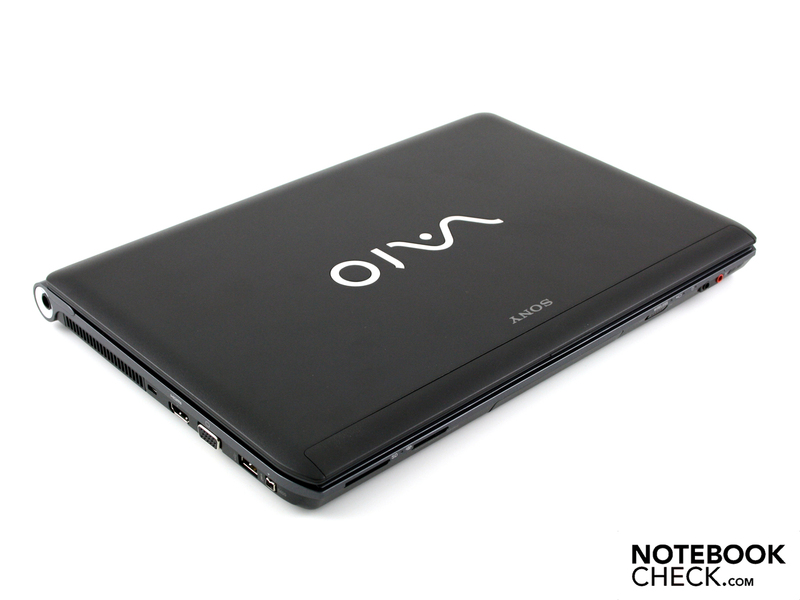 The best possible Vaio S 13 performance is first available in the sister model, VPC-S13V9E/B, with an i5 processor (2.53 GHz, Turbo Boost). 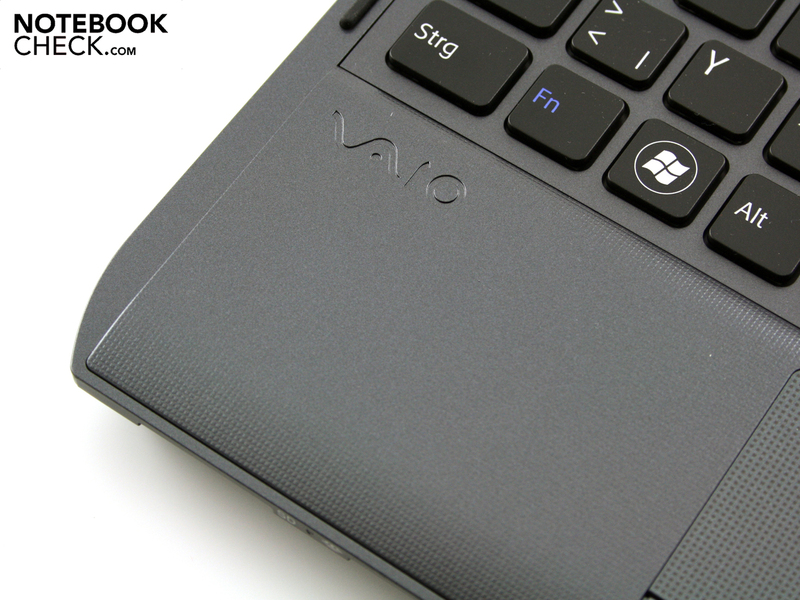 We can say that the Vaio S13X is mobile (4:24 minutes – WLAN surfing). The solid magnesium case (1971 grams) grants handy transportation. Unfortunately, the glossy and too dark LED screen contradicts mobility ambitions. 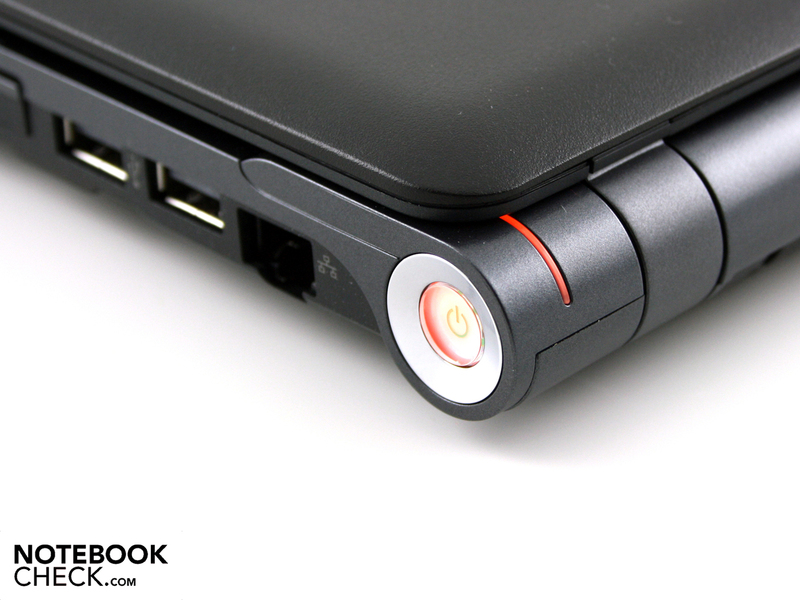 The 1366x768 pixels only illuminate the screen with 175 cd/m2 in battery use due to throttling. Then, there are also the reflections caused by its glare type. We can only make a positive report about the emissions. Waste heat and system noise are measureable, but neither disturbing on the upper nor lower end. The system noise maximum is 32.4 dB(A). Both inputs (keyboard and touchpad) are good in use. Merely the right keyboard area's sponginess is disagreeable. The comprehensive connectivity despite existing DVD drive is very agreeable. Aside from the docking port on the base plate, even FireWire and ExpressCard34 have found room. The installed HSDPA module (SIM card underneath base plate) completes the mobile system. 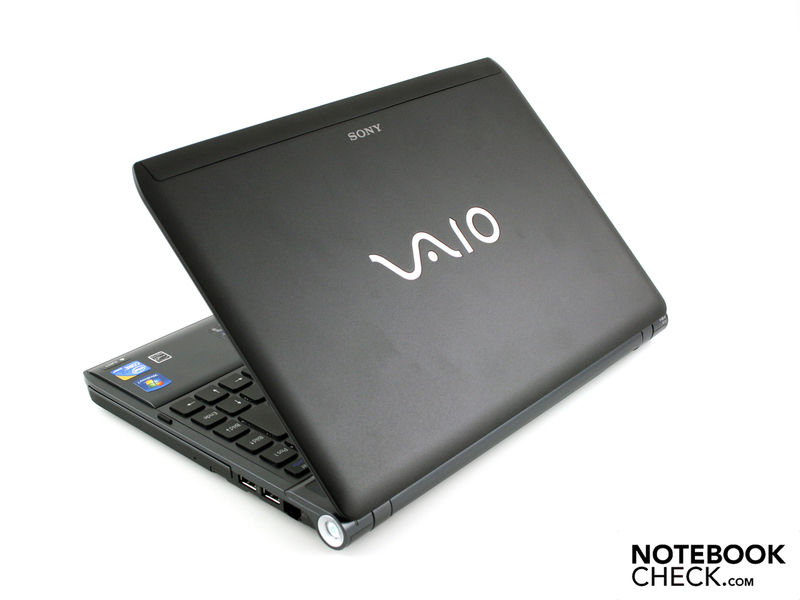 The Vaio VPC-S13X9E/B is suitable for demanding users who are looking for a small notebook with extensive equipment. If use in sunlight isn't an issue, even the reflective display will be a good friend. The device is available at various online retailers for starting at 1100 euro. 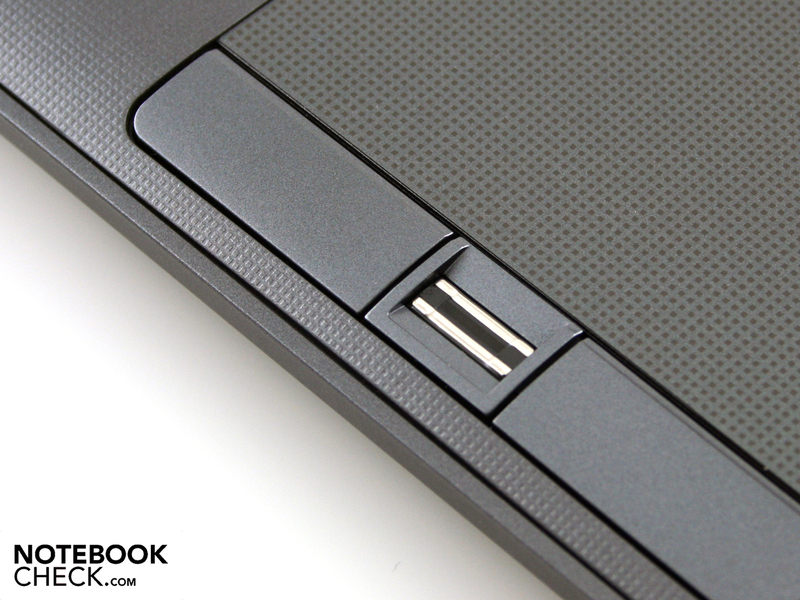 Vital for the business user: The docking port on the bottom. 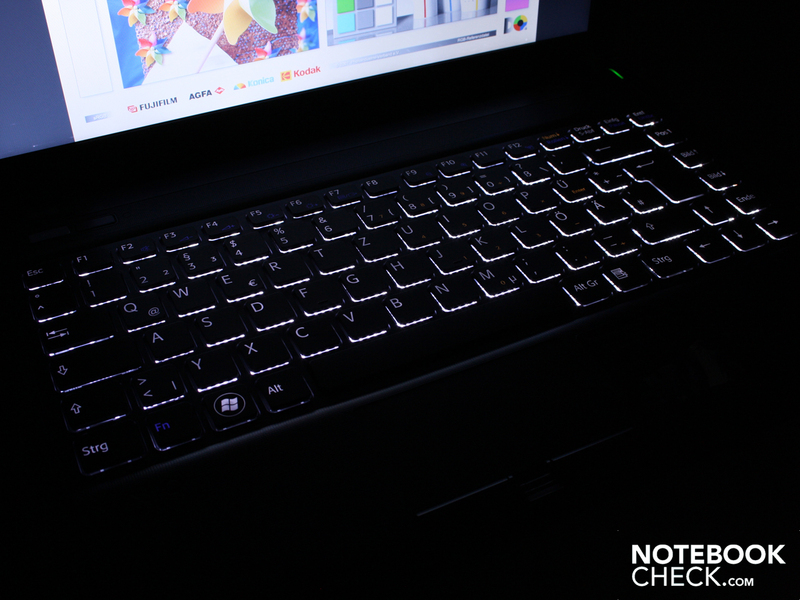 A special feature is the illuminated keyboard. so you don't have to use your flashlight. 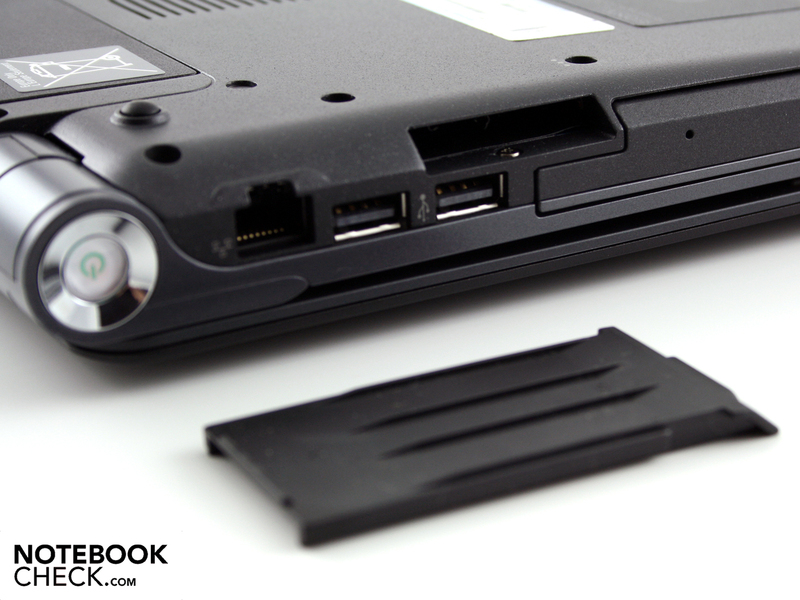 The battery fits securely in its rotating mount. More than four hours aren't a problem with the 54 Wh lithium ion battery. and both RAM slots (2x2GB, max. 2x4GB). Recovery DVDs don't belong to the supplies. The small adapter has a short power cable. Additionally, Sony even provides for i.Link (FireWire, HDMI and ExpressCard34 (not in picture). and two cardreaders (Memory Stick & SD). 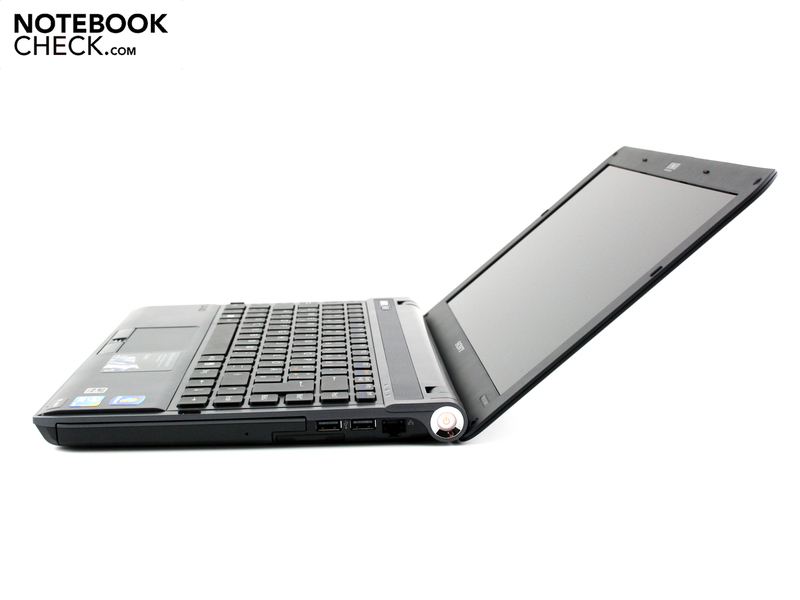 with Core i3-370M processor and UMTS/HSDPA module. The case made of a magnesium alloy is very stable. The case has a matt black finish, as we can see underneath the maintenance cover. The work surface bids matt surfaces – perfect for working on the go. are to be addressed with the compact size. than we would presume in a 13.3 incher (webcam). It supplies 65 watts and weighs 224 grams. So many interfaces in a compact case. An anti-glare display would have been the icing on the S13X cake. But as it is, the S13X staggers behind its matt subnotebook colleagues. 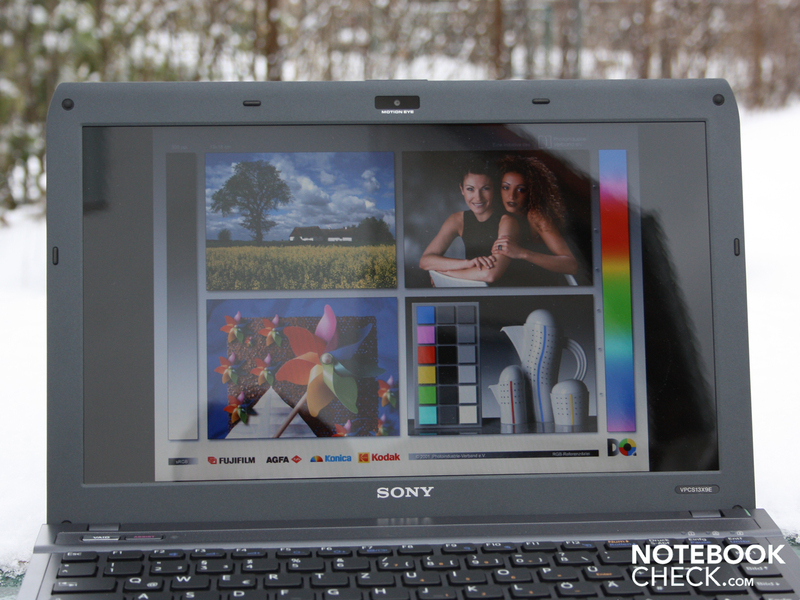 Why does Sony use a glare type screen in this kind of mobile subnotebook? It can't even be due to the colors because they are extremely bad (contrast & color spectrum).